Smile-A-Mile started more than 30 years ago with just a single summer camp session for children in Alabama with cancer. Over the years, we have grown to be a year-round program that serves children and their families from diagnosis and through the years beyond treatment. Our purpose is to provide hope for these families through their cancer journey. Smile-A-Mile is a longtime partner of Children’s of Alabama. Many of the wonderful Hematology/Oncology medical staff volunteer time at our programming to provide care for the pediatric participants. Smile-A-Mile provides funding each year for a Pediatric Hematology/Oncology Fellow in training with the UAB Division of Pediatric Hematology/Oncology. This funding is offered exclusively for the training of Post-Graduate Fellows in Pediatric Hematology/Oncology. Smile-A-Mile also takes programming onto the Hematology/Oncology Floor and Clinic through the Hospital Outreach Program (HOP). Check out more information on HOP. Each of Smile-A-Mile’s seven camp sessions is held at Children’s Harbor on Lake Martin – Children’s Harbor is a separate organization and donates the use of their facilities for our camp sessions. 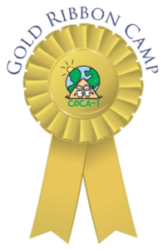 Smile-A-Mile is a Gold Ribbon Award Member of the Children’s Oncology Camping Association International (COCA-I), an organization whose mission is to strengthen the international community of camps for children with cancer and their families through networking, advocacy, and education. 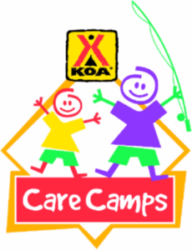 Through its charitable fundraising efforts, KOA Care Camps will provide necessary support to send kids with cancer to medically supervised cancer camps where they can have fun, build awesome friendships, feel the joy that comes from camping and spending time in nature, make memories that will help them heal and ultimately return home feeling renewed and filled with hope. Smile-A-Mile is thankful and proud to be supported by the Walker Area Community Foundation and Walmart Foundation! Smile-A-Mile will not, under any circumstances, sell, trade, or share a donor’s personal information with anyone else, nor send donor mailings on behalf of other organizations. This policy reflects our commitment to maintain the highest integrity in order to protect and ensure donor privacy.